August is the start of the school year in America. It’s the month that seems to be devoted to education. 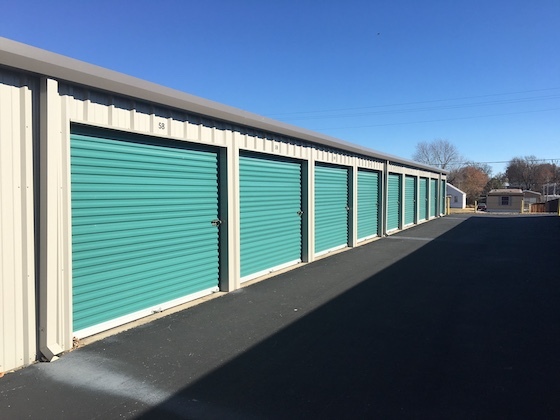 On that note, if you’re looking at buying a storage facility – or anything for that matter – you need to start off by understanding exactly how the business works and what a good deal looks like vs. a bad one. The most effective you can be as a buyer is when you can put any deal into one of three boxes: 1) good deal 2) could be made into a good deal with certain steps and 3) bad deal. Once you have that skill, it’s all about the volume of deals you look at before you find the right one to buy. There’s an old saying that “give a man a fish and he eats for a day, teach a man to fish and he eats for a lifetime” and that’s 100% true. In any endeavor, education is the key foundation to success. There are basically four ways to find a self-storage property to purchase: 1) brokers 2) on-line listings 3) direct mail and 4) cold-calling. So how do you find storage facilities to buy using direct mail, and what are the tips we’ve learned from using this strategy for about 20+ years? Every storage acquisition effort needs to begin with a territory. For most buyers, that’s a radius of around 5 hours from their home. The reason is that many people feel a loss of control when they cannot simply drive to their property and back in one day. Although you will later learn that being near your property is not required – as you have little “value add” other than buying the right facility – it’s a mental issue that is hard to overcome. Since storage does best in areas that have strong economies and plenty of materialism to store you should seek the strongest cities and towns from that 5 hour circle and begin there. Using Google, you can simple search “self-storage in ______” and pick up 95% of all of the storage properties in that market. 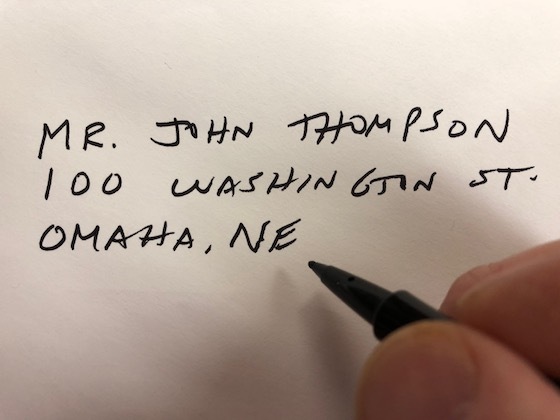 Write down each of their names and addresses. That’s your prospect list. Once you have the list of potential storage targets, the next step is to collect the information on the owner’s name and address. You obtain this through the county tax assessor’s website, or by calling them during normal work hours. If the ownership is a corporation or similar entity, you can still find the owner’s name and address by searching the state’s website on corporate formation documents. Without a huge amount of complicated legal work, virtually every self-storage property owner can be found quickly and easily in this manner. You’ve got to put “Self-Storage” on your postcard or letter in big letters, as that’s the hook that gets the property owner to read it. You need to put the phrase “I buy self-storage” on it, so they can tell at a glance what you are after. Include a photo of you or your spouse. You’d be surprised, but we’ve found the number of sellers who call in increases when you take a risk and put your photo on there. It’s because they either like you or hate you from your photo, and the ones that like you will call. Put your phone number on there as big as you can, as that’s the most important item you want them to find. Do not put a bunch of restrictions on there like minimum size, etc. as it sends the signal that you are too picky and a pain to work with. Put “we are not brokers” on there somewhere, so they know you are the buyer. OK, you’d think this is the easy part, since all you have to do now is to address the envelopes or the postcards. Just sit down with a pen and a stack of envelopes or postcards during your favorite TV show or movie and start addressing them. As long as you have some form of entertainment in the background you’ll be surprised how fast the time goes. No reason to procrastinate on this step. Here’s how it normally works. You go down and mail the direct mail out and then you have a few days delay and then suddenly your phone starts ringing. How much? Well, if you send out 100 units, you should get between 1 and 5 calls (which is about 1% to 5%). Since most people are only looking to buy one storage property at a time, you should be able to get a lot of potential targets from a mailing of about 500 units. When the owner calls you, simply start the conversation with them, as they already know what you’re trying to do. See if you can get them to name a price. You’ll find in any endeavor to find storage properties to buy, you must never stop the effort. There are always new properties coming on the market because sellers are constantly having changes in their lives due to health, death, divorce, loss of interest and a host of other reasons. So don’t just do a mailing once and then quit. Keep it going. Besides, you’ve already done all the heavy lifting in the form of building the mailing list. There’s every reason to believe you can find a great storage deal from a direct mail piece. So give it a try, using the steps outlined above. When you find that right deal, remember that you owe us a pizza. Choosing from the range of options Easy Storage provides allows you to customize a solution to fit your business and your budget. Learn more by visiting their website or contacting them at [email protected] or call 888-958-5967. Be sure to let them know you saw their ad in the Self Storage University Newsletter! Your storage facility’s success or failure is directly related to the actions of your manager. We all hope that they will be a Superman, but the reality is that their performance is directly related to how you support their efforts. So how can you maximize the effectiveness of your storage manager? When you bought that storage facility, you did so with a budget in hand. You knew what you needed to hit on revenue and expenses. So don’t keep that information in your head. Many owners like to be secretive about their numbers, but history has proven that this is not the best approach. By letting the manager know what your targets are, it helps them to get the big picture and to track how they’re doing. Transparency is much better than secrecy here. Now that you have that roadmap budget, what’s the plan on hitting those goals? If you want to increase occupancy by 10% each year – to fill a bunch of vacant units – then let the manager know what the plan is. Don’t just say “hey, let’s increase the occupancy”, instead say “the goal is to increase occupancy by 10% this year, so let’s get going on that”. By having realistic, identifiable goals the manager is empowered by knowing what your expectations are, not just broad statements. The manager has no control over the market. You need to tie how they are judged to actionable steps that they control. You can say “I want you to call every account that is delinquent and try to get them to pay” and then judge them on the fact that they made all those calls – but it’s not fair to judge them on how many delinquent accounts they end up with, as they can’t force people to pay. If you judge people unfairly, they will ultimately dislike you and look for a job elsewhere. How often each week will you talk to your manager? There are many theories on this. We have found that a stable, successful facility only needs contact once per week. We typically like to call managers on Fridays and ask them what happened for the week. Concrete questions like “how many new units were rented?” and “how many units were vacated?”. Additionally, you may get the occasional “problem” call from the manager on issues that pop up like “the guy in unit 30 wants to know if he can rent the unit next door and take the wall out in between?” On properties that are not yet running smoothly, you may elect to call the manager daily to check in. But whatever the plan is, tell the manager so they know what to expect. Otherwise, they may feel like you’ve abandoned them or don’t care about them. Here’s one of the most important things to do regarding your manager: listen. Don’t feel that – as the owner – you should be the one doing 80% of the talking. What the manager says, and your reaction to it, may make or cost you a huge amount of money. If the manager says “we really need to match that move-in special that the competitor down the block is offering” the worst thing you can do is gloss over that until you lost 10 customers. Your manager needs a cheerleader – and it’s you. You need to support them and set them up for success. These steps will help guide the way. Did you know that there are a large number of new loan products out there that are hugely attractive for financing your new purchase or refinancing your existing self-storage facility? MJ Vukovich is one of the top loan brokers in the storage sector, and he would be happy to give you a free consultation on the options for your financing needs. We’ve been using MJ for years and he’s clearly the best of the best. He is also a third-generation property owner who speaks your language. So give him a call today at (612) 335-7740 and let him tell you what he can do for your property, or email him at [email protected]. Let him know Frank & Dave sent you! When you buy a self-storage property, how big a loan should you get? The truth is that the amount of leverage you place on the deal has a huge impact on the returns you will get on your capital, as well as the risk you experience from financial markets. So what’s the best amount of leverage to put on a storage facility? The first thing you need to know about leverage is that it is one of the huge benefits of real estate investing. The ability to borrow money at low interest rates and at up to 80% of purchase price is unique to real estate. You won’t find it when you buy a business or franchise. 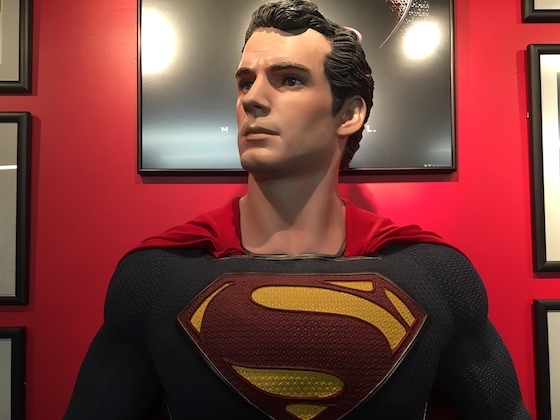 It’s only possible in real estate because the lending industry has learned over the decades that a buffer of 20% or so is all you need to cover a failed loan, and that it doesn’t happen very often. Restaurants are ranked #1 for business bankruptcies, and banks run fast when you want to get a loan to buy one. Real estate, however, is a darling of most lending institutions. Leverage is what gives self-storage investors superior cash-on-cash returns. When you buy a property with all cash, your total return on your cash is simply the cap rate. But when you leverage your purchase, the return on your cash can be double or even triple that. Of course, the highest rate of return you can generate is infinite, but to achieve that you have to buy the storage property with zero-down. Here’s how leverage multiplies you cash-on-cash return. The difference between the cap rate of the property and the interest rate on your loan is called “spread”. A 2-point spread will give you a cash-on-cash return between 10% and 15% and a 3-point spread will break 20%. So the bigger the “spread” the better. Since you don’t have to buy a storage property for all cash, it allows you to expand your empire aggressively. Assume, for example, that you have $500,000 in capital. If you paid all cash for a storage investment, you’d have one property. But with 80% bank lending, you instead can buy five of them with that same amount of capital. That’s why real estate has been the #1 source of those becoming millionaires in the U.S. – because you can build a large portfolio of holdings really fast. Despite the benefits of leverage, there are also some dangers that must be avoided. The most important of these is to use “sensible” leverage and not succumb to the temptation to build an empire based on maximum leverage. Lenders go through cycles of being super aggressive and then pulling in their horns. At certain points in the lending cycle, you can get insanely high levels of leverage, like 90% LTV. At different times in the cycle, that ratio might top out at 70%. If you have that 90% loan and it comes due and you can’t come up with the capital to renew it at 70%, then you could go into loan default. Many an investor has been ruined because of overly aggressive leverage. Don’t let that happen to you. Try to stay at about 70% to 80% LTV and you should be protected from risk. Leverage is a huge part of self-storage investing. Embrace this unique power to spike your yields and to grow your portfolio, Just use that power wisely. Life Storage, Inc., a public REIT listed on the NYSE, has announced the rollout of "Rent Now,” a fully-digital rental platform. New customers can now select a storage unit, complete the rental agreement and make their rental payment online. The customer receives then code to access the property and even directions to their unit on a map sent to their cellular phone. "Rent Now is Life Storage’s answer to delivering storage needs to our customers on demand. We anticipated there was a growing segment of our customers who prefer to self-serve and complete their rental process online. Rent Now delivers that flexible solution,” said CEO David Rogers. "Making it easy for our customers to engage with us is a top priority at Life Storage, and we are very excited by Rent Now’s adoption rate.” Following successful testing, Rent Now is already being installed in 142 markets across the U.S, and will be in all 700 of their properties in 2019.